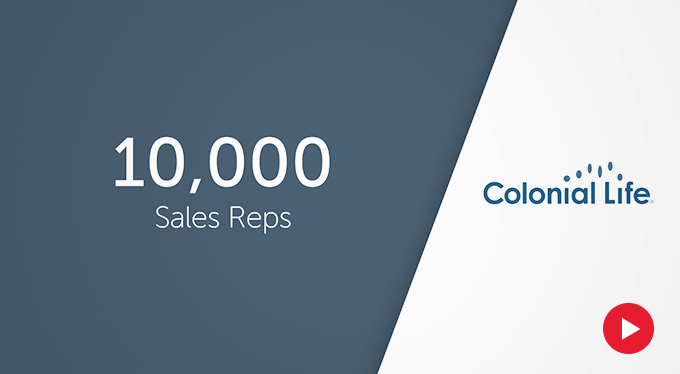 With a sales organization of 10,000 reps, Colonial Life needed an easy way to provide sales training content and track the results. With Brainshark, the company completely revamped its sales onboarding from an inefficient phone-based process, to one where engaging, rich-media training courses are sent via email. View the video above the get the full story! Brainshark has always been very customer-focused. They are truly one of the easiest companies to do business with. Colonial Life offers supplemental health benefits for life insurance, accident insurance, disability insurance and more.